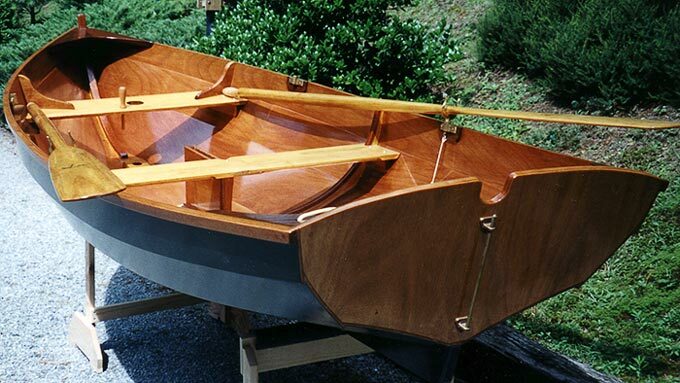 Bob Bondi used Okoume plywood, spruce, cherry, mahogany, and black walnut in building this Shellback dinghy, designed by Joel White. He modified the plans to include a pivoted centerboard and a kickup rudder. Bob completed the boat in August 2003. He said it took him about 250 hours of construction time and the cost was $1500.